Dutch photographer Julie van der Vaart studied photography in Belgium and is currently studying to be a visual art teacher. She has had numerous group and solo exhibitions as well as publications in the Netherlands and Belgium. The series Le Sentiment De L’Éphémère is a personal project that revolves around the realization that nothing is forever. The images show the human desire to keep special and precious moments close by ‘capturing’ them in a photograph. As soon as the photograph is taken, the moment is gone and part of history forever, never to be experienced again. 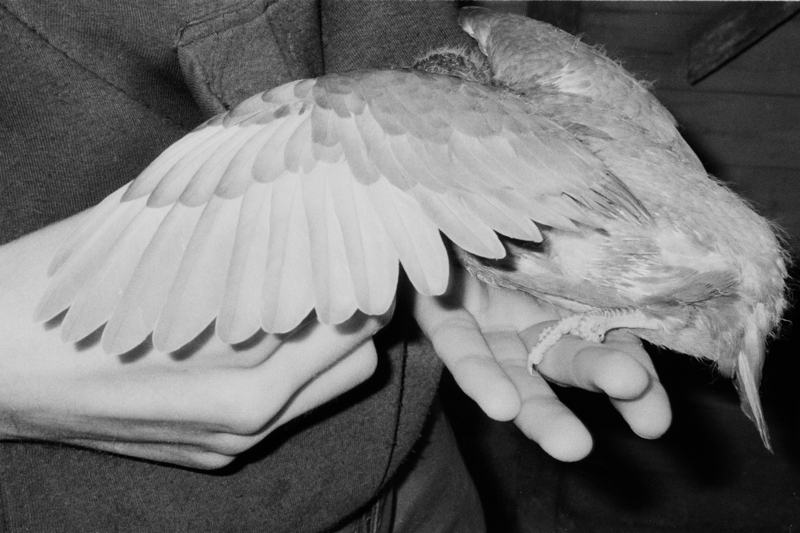 Julie catches these moments in beautiful black and white photographs. She freezes time and sets it in amber, creating a tangible memory for herself and a moment of contemplation for the viewer.